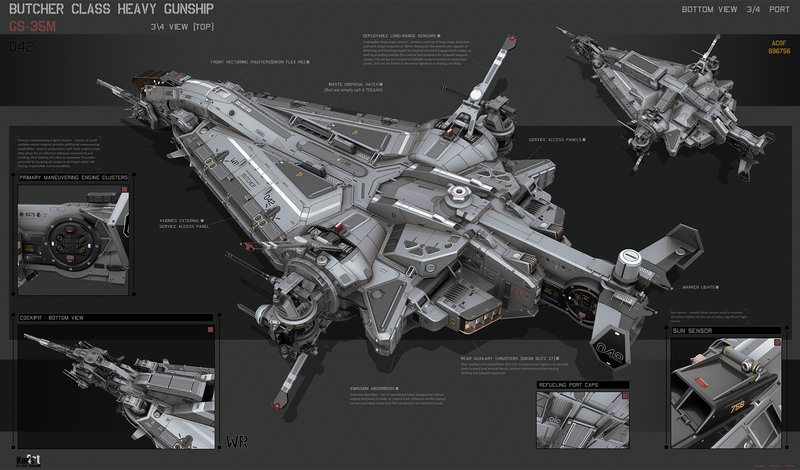 Our good friend KaranaK is one of our favorite spaceship designers. 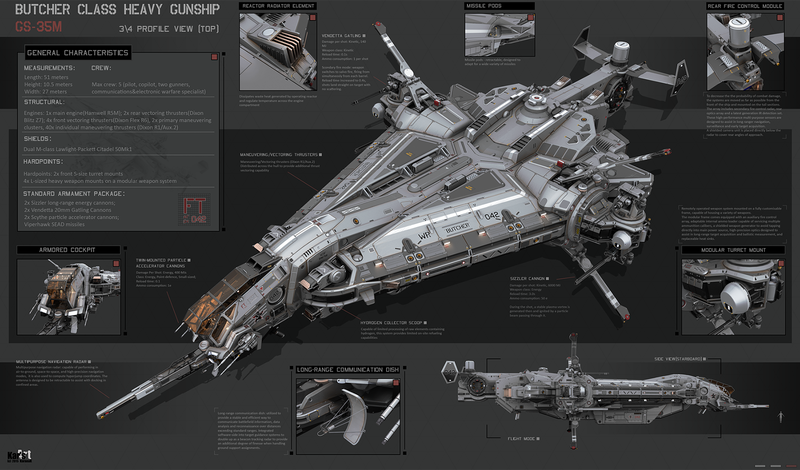 This is the Butcher Class Heavy Gunship GS-35M. 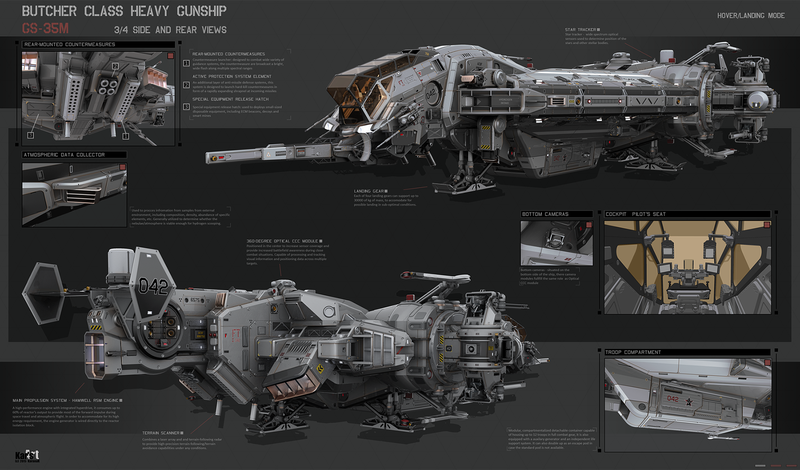 Check out more work by Alexey here on conceptships.